Patient experience and patient engagement are closely related; both have a critical role in driving better health outcomes and reduced costs. According to HIMSS, patient engagement means that providers and patients are working together to improve health. A patient’s greater engagement in healthcare contributes to improved health outcomes, and information technologies can support engagement. Patients want to be engaged in their healthcare decision-making process, and those who are engaged as decision-makers in their care tend to be healthier and have better outcomes. In post acute care, visiting nurses bring the hospital to the home and engage patients during in-person visits as well as virtual visits. Patient engagement starts with understanding the level of health literacy, the ingoing mindset about the condition, and the health goals of the at-home patient. Education and enlightening patients must be done in a compassionate way with the proper amount of dignity and respect to a patient’s unique situation. 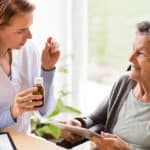 Not all patients understand health information the same way; home health team members need to quickly understand how a patient absorbs critical information in order to educate the patient in the most appropriate manner. 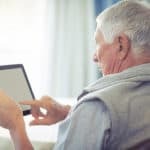 Patient engagement happens in the home – during at-home visits – and also occurs virtually when providers communicate with patients via text, email, SMS, and video-based virtual visits. 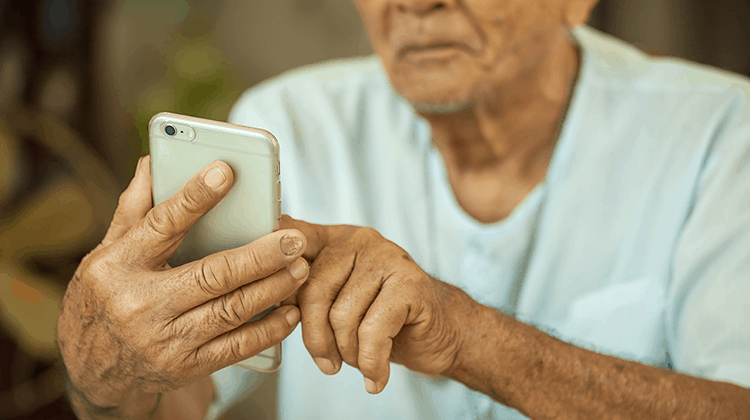 Using a communication platform, home health agencies can schedule a series of touchpoints and messages to ensure that patients are routinely engaged throughout the episode of care. Consistent engagement helps patients make ongoing informed decisions about their care daily such as adhering to their medication and following diet, exercise, and lifestyle recommendations. 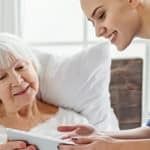 Each positive interaction with a home health organization will increase the patient’s trust in the visiting nurse and the home health agency, leading to greater follow through on the treatment plan and better outcomes for the patient.